This year, for the first time, more than half (52%) of the 1,000 sites monitored by the Online Trust Alliance (OTA) qualified for the Honor Roll. The OTA Honor Roll is awarded to those sites reaching a score of 80% or higher overall with no failures in any one of the three core categories (consumer protection, security and privacy protection practice). One of the primary roles of the OTA is to raise the level of digital data security and privacy and to enhance online trust. 76% of the Top 100 consumer service sites make the Honor Roll. This segment accounted for 26 of the top 50 consumer-facing sites (52%). 51% of the top 500 Internet retailers made the Honor Roll, a 44% increase from last year. This segment accounted for 10 of the top 50 consumer-facing sites (20%). 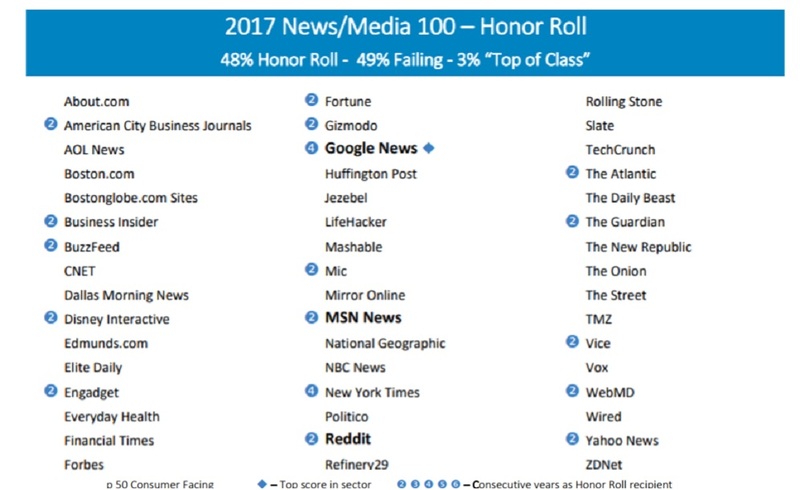 48% of news and media sites made the Honor Roll this year, registering a significant improvement compared to last year across all industries. In 2016, only 26% of media and news sites made honor roll making it the worst performing segment. This segment accounts for three of the top consumer-facing 50 sites (6%). 46% of ISPs, carriers, hosters & email providers made the Honor Roll. This segment accounts for seven of the top 50 consumer-facing sites (14%). 39% of audited U.S. federal government sites made the Honor Roll, declining from last year when 46% sites made the honor roll. Important to note, 60% of Government sites received a failing grade. 27% of FDIC 100 banks made the Honor Roll, a significant decline from last year at 55%. The decline is mainly due to increases in breaches, low privacy scores and low levels of email authentication. A full 65% of FDIC 100 Banks received a failing grade. Overall, failures varied widely by sector. In total, 46.5% of all sites failed in one or more area. Top failures included inadequate email authentication (55%) of the Fed 100 and inadequate privacy policies (34%) of the banking sector. Interestingly, consumer sites demonstrated a much higher level of transparency in their privacy disclosures with only 4% failing here. With the General Data Protection Regulation GDPR implementation deadline approaching in Europe (May 25, 2018), it’s important for all participants to have a readiness plan. This requires revisiting security risks, disclosures and related privacy practices. Implement both Sender Policy Framework (SPF) and Domain Keys Identified Mail (DKIM) for top-level domains, “parked” domains (not used for email) and any major subdomains seen on websites or used for email. Optimize SPF records with no more than 10 DNS lookups. Implement Domain-based Message Authentication (DMARC), initially in “monitor” mode to get receiver feedback and verify accuracy of email. Mandate the use of DMARC reporting capabilities with RUA (addresses to which aggregate feedback is to be sent) and RUF (addresses to which message-specific forensic information is to be reported) reporting. Implement inbound email authentication checks and DMARC on all networks to help protect against malicious email and spear phishing purporting to come from legitimate senders. Ensure that domains are locked to prevent domain takeovers. Implement opportunistic TLS to protect email in transit between mail servers. Implement Domain Name System Security Extensions (DNSSEC) to help protect a site’s DNS (Domain Name Servers) infrastructure. Deploy Internet Protocol version 6 (IPv6). Implement Distributed Denial of Service (DDoS) mitigation technologies and processes. It’s important for organizations of all types to adopt responsible practices in privacy and data stewardship to ensure a positive user experience. Free press, free speech, and personal privacy are essential to an open, free, and prosperous society. On one hand, journalists and authors must be able to communicate privately and anonymously. On the other hand, they must be able to speak freely and securely without fear of repercussion. In both cases, they must be able to support what they do. Online censorship, the hacking of large institutions and civil society, systematic piracy and data fracking, and Edward Snowden’s revelations of mass and targeted surveillance have driven people of well-established democracies to seek anonymous, encrypted, and monetizable communications through blockchain technologies. These tools enable them to disguise their identities and scramble their messages in transit and in storage so that only authorized persons may access them in exchange for cryptocurrency such as Bitcoin. Governments that wish to repress the truth will find the blockchain significantly more challenging to stifle than the Internet for several reasons. First, journalists and photographers could use public key infrastructure (PKI) to encrypt information and conceal their identity from would-be censors and attackers. Second, governments could not destroy or alter information recorded on the blockchain; therefore, citizens could use it to hold their leaders accountable for their actions. Third, where governments starve honest journalism of funding, journalists—particularly stringers in the most dangerous parts of the world—could raise funds on the blockchain, casting a wider net for news directors and investors who preferred to remain anonymous. For example, veteran Chinese journalists could try one of the distributed peer-to-peer crowdfunding platforms such as Koinify, Lighthouse, or Swarm that use PKI to protect the identities of sender and recipient better than Internet-only systems. Another great blockchain tool is the free mobile app GetGems, which both guards and monetizes instant messaging through bitcoin. Users can send all sorts of files securely, with GetGems functioning like private email, not just SMS. [i] These apps are just the beginning of what is possible to thwart censors and pirates. Through the lens of blockchain technologies, journalists and authors see the contours of a world that protects, cherishes, and rewards their efforts fairly. All of us should care. We are a species that survives by its ideas, not by its instincts. We all benefit when cultural industries thrive and when the content creators themselves can make a living. Moreover, these are the bellwethers of our economy—they reveal faster than nearly any other industry how both producers and consumers will adopt and then adapt a technology to their lives. Every business executive and government official has much to learn from them about the new era of the digital age. 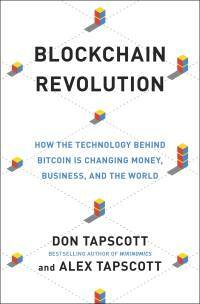 Don and Alex Tapscott are co-authors of the book Blockchain Revolution: How the technology behind Bitcoin is changing money, business and the world (Penguin, May 2016). Don Tapscott, CEO of The Tapscott Group, is one of the world’s leading authorities on the impact of technology on business and society. He has authored over 15 books including Wikinomics: How Mass Collaboration Changes Everything which has been translated into over 25 languages. 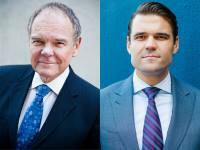 His son, Alex Tapscott, is the CEO and Founder of Northwest Passage Ventures, a VC firm that invests in companies in the blockchain market. For seven years in the Canadian and U.S. Capital markets, Alex has worked tirelessly to help entrepreneurs realize their goals, raising hundreds of millions of dollars in critical growth capital and providing sound advice and counsel. [i]       GetGems.org, September 2, 2015; http://getgems.org/. [ii]      “Factom: Business Processes Secured by Immutable Audit Trails on the Blockchain,” www.factom.org/faq. [iii]     Interview with Stephen Pair, June 11, 2015. [iv]     Miguel Freitas. About Twister. http://twister.net.co/?page_id=16. 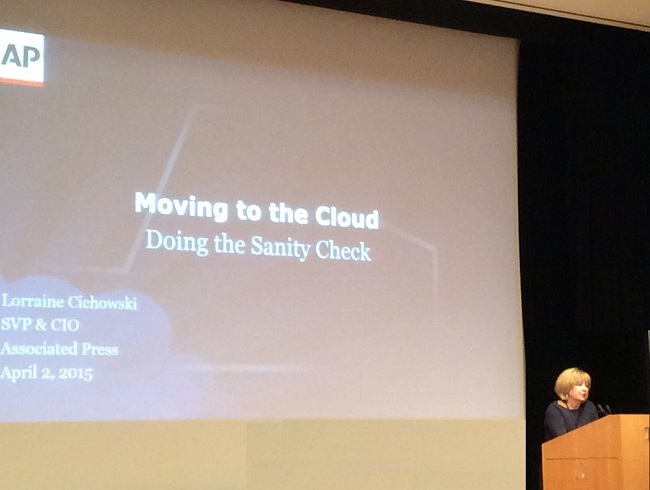 Media and entertainment business and technology executives are worried about the security of the cloud. 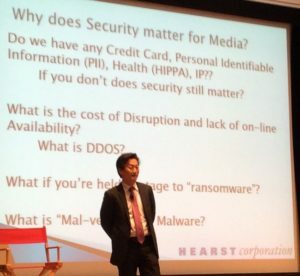 And while massive distributed denial of service (DDOS) are happening with regularity, most media execs are not familiar with the details of DDOS, nor are they confident that their site could withstand such an attack, according to a recent survey of 261 media and entertainment executives by Broadcasting & Cable and VideoEdge Magazines. According to their report, Secure My Site –Media Security Concerns, Beliefs and Attitudes, perceived and real threats make security a major issue for media companies in the U.S. today. In fact, over half of the media and entertainment executives surveyed said that they have lost sleep over the potential threats to security posed by cyber-attacks, with 13% saying they often endure sleepless nights. Nearly 80% of media executives said that Web security is “very important” or “extremely important” to their organizations, and virtually all of them plan to spend the same amount or more on security solutions in the coming year. Traditional TV companies (broadcasters, pay TV companies, and programming service providers) are even more focused on security, with 89% of executives from these companies saying security is at least “very important” to their business. Though media executives are reluctant to admit security problems, 28% of survey participants said their organizations have experienced a cyber-attack or data breach. Almost all of those reported that one or more corporate Web sites were forced offline because of the incident. The most common problem appears to be Web site defacement, as 75% of cyber-attack victims said that hackers changed the appearance of their site, which can be detrimental to the brand. A quarter of the media executives surveyed said that their corporate data were breached as a result of the cyber-attack they suffered, though 38% say they suffered a loss of corporate intellectual property. It is essential for digital publishers to understand what key factors connect user satisfaction and brand trust and monitor to ensure growth of user engagement. In a Neustar sponsored study, conducted by The Ponemon Institute, a leader in cyber security research, three key components were identified to be influencers of online trust. The first factor connected to digital brand trust is accuracy. According to more than 9 in ten respondents (91%) inaccurate content causes users to lose trust in a website. Further, inaccurate content goes beyond just getting the information wrong, it also includes misspellings, broken links to content or outdated offerings. In addition, advertising that interferes with content (55%) and ads that redirects users to sites they don’t want to see (52%) also has negative effects on a website’s brand. 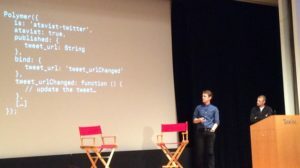 A second component involved in a site’s brand trust is stability. Eighty-eight percent of the respondents identified a site’s downtime as a trust eroding practice. Also a site’s general usability and its capacity to work with different browsers, plug-ins and flash are important to the perception of a site’s stability. Lastly, website security is an important feature connected to a site’s brand trust. Both the speed of overall site performance and page downloads are related to security concerns. More than three-quarters of respondents (78%) reported that security concerns them when a site performs slowly. Further, 67% of users lose trust in a website when its pages take a long time to download. In addition, close to two-thirds of respondents (63%) report distrusting brands whose data was breached. As consumers spend more time online, monitoring accuracy, stability and security is key to delivering an exceptional brand experience. At our Digital Content Next members-only Tech Day, held April 2 at the Time and Life building in NYC, topics included dealing with cyber security threats, how to make decisions about moving into the Hybrid Cloud and how to respond to the challenges brought on by viewability and ad blocking. “You must have a security strategy from the top down. The reality is that employees are often the weakest link it any company’s security…it is essential to not only inform employees, but also to enable security to be everyone’s business, not just the tech department. “For me the whole thing is culture. You want people who will fit in and inspire others around them…you can do a lot to train them and get them fully up to speed. Click here to see the full agenda with speakers and sessions.